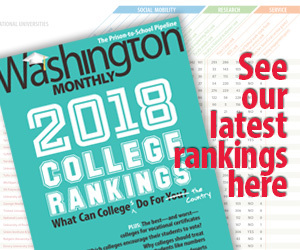 Washington Monthly | Who Says Academia Doesn’t Pay? Who Says Academia Doesn’t Pay? Faculty leaders alleged in a nine-page investigative report that Johnson had “destabilized” the college in 2 1/2 years of leadership by disappearing from office for days at a time, missing important events, intimidating staff and overspending with his corporate credit card. While Johnson maintains that his spending was a legitimate part of his job, recently released information indicates that Johnson spent some $65,000 using his corporate credit card during his two years at the college. On a single day in March Johnson charged $130 for limousine service, $100.32 for a restaurant, $144.80 for a Utah spa, and almost $800 in airfare. As president, Johnson earned (and continues to earn) a salary of $233,210 a year.